All Turkeys must be shipped at least 2nd day air for “hotspots” or warm climate states. Click here to see if you’re considered a hotspot. “Space Bag” is included in cost listed. The fresh, delicious, and healthy taste you have come to know and love. 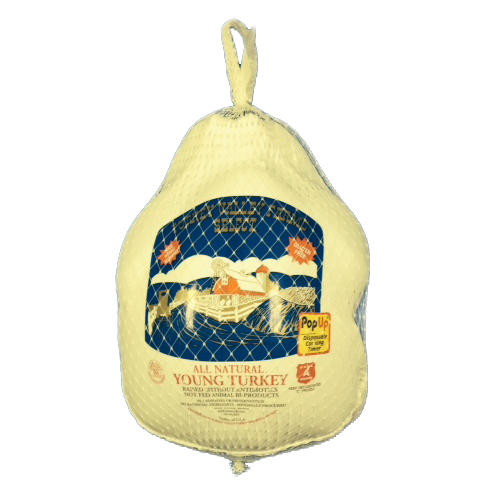 Our young turkeys have been carefully raised in a humane environment and are hormone free, antibiotic free (not in all flocks), nitrate free, gluten free, and gourmet fed. Baby Turkey Breasts average 6.5 pounds in size. The ultimate main course for a healthy and nutritious family meal. Tender and juicy when done and the perfect size for oven roasting or slow cooking. Try with fresh herbs, garlic, and your favorite spices. Size averages 6.5 pounds in size. 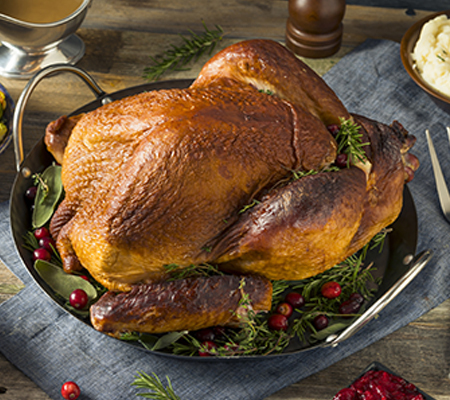 Welcome guests to your home with the healthy taste of turkey locally-sourced from small farmers in the midwest. Our large hens are hormone free, antibiotic free, nitrate free, and gourmet fed, and processed with gluten free ingrediants to always deliver the freshest taste. Applewood small hens range from 10 to 12 pounds in size. 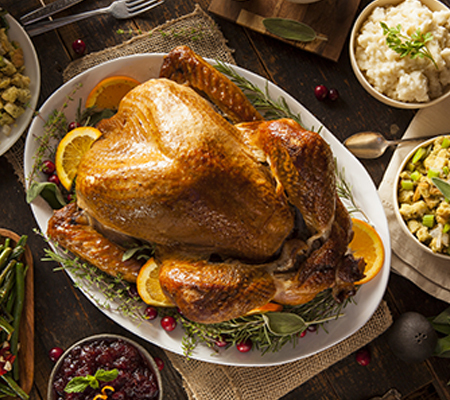 At Applewood, we have spent over 50 years bringing healthy, happy turkeys from Midwestern farms to your homes. We are proud to offer the most delicious meats for your special family dinners and get-togethers. Our large hens are hormone free, antibiotic free, nitrate free, gluten free, gourmet fed. Turkey Hens range between 12 to 18 pounds in size. Applewood Farm Turkey Toms are the perfect main course for a healthy and nutritious family feast. Tender and juicy when done and an excellent size for large family gatherings. Try with fresh herbs, garlic, and your favorite spices. Our large Toms are hormone free, antibiotic free, nitrate free, gluten free, and gourmet fed. Turkey Toms range between 16 to 26 pounds in size. 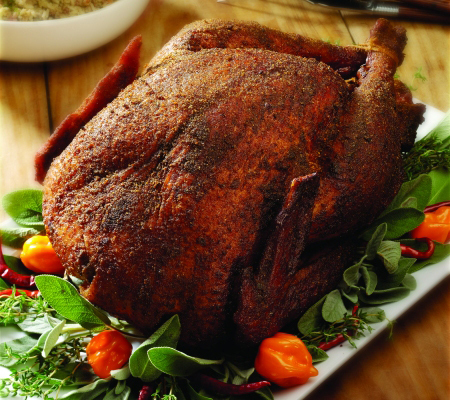 Our succulent brown sugar cured turkey is slow-smoked over hickory for maximum flavor. ii. Turkey Hens range between 10 and 12 pounds in size. Our juicy oven roasted turkey is brown sugar rubbed and fully cooked and ready to heat and eat. If zing is your thing, then our Cajun style turkey is for you! Brined and cured before getting a second rub for that southern flavor all the way through. 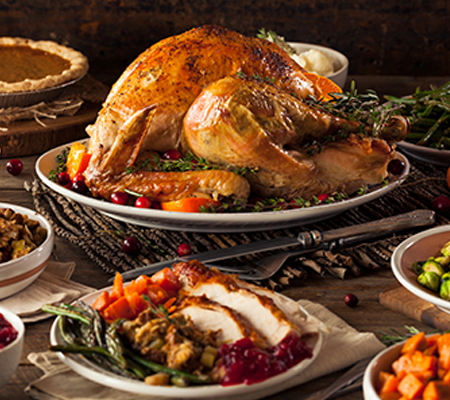 Give your family the best with Applewood Farms, free-range and locally-sourced turkeys. Our outdoor turkeys have been raised with plenty of fresh air and sunshine, and are hormone free, antibiotic free, gluten free, and nitrate free and organic fed to ensure the highest quality for your family. LIMITED SEASONAL OFFERING. Pre-order to ensure availability. Choose between sizes: 10 to 12 pounds, 12 to 14 pounds and 22 to 24 pounds. Turkey Broth, Salt, Sodium Phosphates, Sugar, Flavoring. Gluten and hormone free, celiac friendly, but not antibiotic free in all flocks.